The Climate Change Performance Index has ranked Ireland 48th out of 56 countries. IRELAND’S PERFORMANCE IN taking action against climate change has been ranked the worst in Europe, according to a new report. The Climate Change Performance Index has ranked Ireland 48th out of 56 countries, with a score of 40.84, far below the EU average of 60.65. The best score of the Index was obtained by Sweden, 76.28, while the UK came in eighth place with 65.92. Existing climate mitigation efforts will not enable Ireland to achieve either its EU 2020 or 2030 targets domestically. “The longstanding lack of implementation of substantive measures to put the country on a well below 2°C pathway results in a very low rating for Ireland’s national policy performance”, the Climate Change Performance Index 2019 said. An Taisce has said that this report is another “embarrassing blow to Ireland’s reputation as a good faith actor in terms of doing its fair share in tackling the global climate crisis” as it remains among the group of worst performing countries. “To be ranked as the very worst in the EU28 is a stunning indictment of political failure to stand up to powerful special interest lobbyists as well as refusing to face down huge complacency and inertia within the public and semi-state sectors, ” An Taisce’s Climate Change Committee spokesperson, John Gibbons, said. 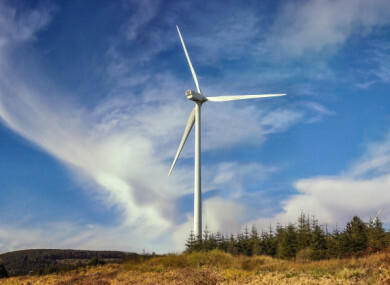 The report was more positive when it came to the most recent policies proposed by the Irish government, rating Ireland’s performance on international climate policy as medium. Despite the positive side of the report, Gibbons said it was worth recalling that the government went back on “even the most rudimentary step” of a small increase in the carbon tax in the recent Budget. Assuming the moral and ethical argument for avoiding catastrophic climate change doesn’t convince the Taoiseach, perhaps Mr Varadkar can explain to the public the logic of instead paying over hundreds of millions of euros in fines to the EU from 2020 onwards for our abject failure to meet even our minimum legally binding obligations on emissions. Email “'A deeply embarrassing blow': Ireland ranked worst in Europe for tackling climate change”. Feedback on “'A deeply embarrassing blow': Ireland ranked worst in Europe for tackling climate change”.